Welcome to the resource area for UCU branches, reps and activists. In this section you will find a range of advice, resources and materials to help build strong and active branches. Information on running industrial action ballots following the new turnout requirement of the 2016 Trade Union Act. UCU's major initiative to build our union. 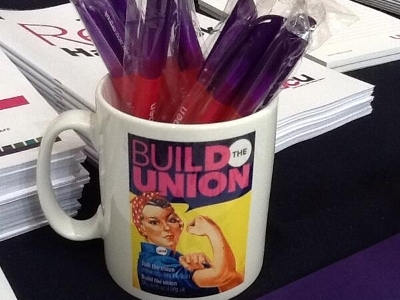 Information on the various rep roles and the legislation, agreements and practice that empower the rep.
UCU branch officers engage in collective bargaining, negotiating with their employers, every day. It's how we protect our members and promote their interests at work. Here you will find a comprehensive library of our negotiating guidance, designed to give you the tools you need for negotiating with your employer. Campaigning is often shrouded in mystique. It is seen as something that some people have a natural instinct for - that you can either do or you can't. Campaigning is actually quite easy, though it is often hard work! The materials available here will help you to run an effective campaign. UCU's health and safety resource centre for members, safety reps and branch officers. A range of materials for promotion, recruitment and campaigning, including examples from branches for ideas and inspiration.